51 ft. sailing yacht built in 2017 by Dufour, equipped with solar panels, inverter, microwave, bow thruster, 5 cabins for up to 10 guests in Port Grimaud / St. Tropez (France). 41 ft. sailing yacht built in 2018 by Beneteau, equipped with solar panels, inverter, microwave, bow thruster, 3 cabins and 2 WC for up to 8 guests in Port Grimaud / St. Tropez (France). 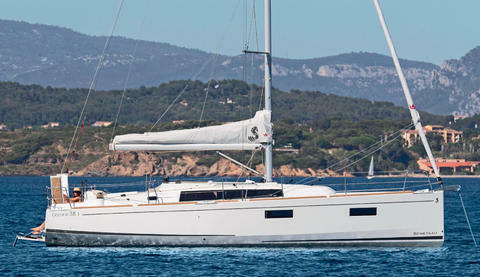 38 ft. sailing yacht built in 2017 by Beneteau, equipped with TV, bow thruster, heating, microwave, 3 cabins and 1 WC for up to 8 guests in Port Grimaud / St. Tropez (France). 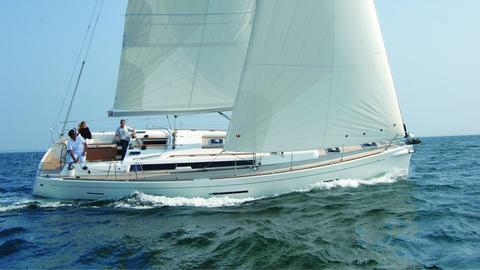 NEW in Charter Lagoon 50 – Bareboat Charter in France for max. 10 persons. Set sails in 2018 with this amazing boat, confirm now your preferred week! 42 ft. catamaran built in 2018 by Lagoon, equipped with TV, microwave, inverter, watermaker, 4 + 2 cabins for up to 10 guests in Port Grimaud / St. Tropez (France). 45 ft. sailing yacht built in 2015 by Dufour, equipped with radar, bow thruster, microwave, 3 cabins and 2 WC for up to 6 guests in Port Grimaud / St. Tropez (France). NEW in Charter Bali 4.1 – Bareboat Charter in France for max. 10 persons. Set sails in 2018 with this amazing boat, confirm now your preferred week! Do you offer yacht charter and boat rental in Port Grimaud by yourself? Would you like to have a presentation of your charter boats and yachts with us? Sign up here as a boat rental company and edit your sailboats, powerboats or catamarans in our yacht charter data base.